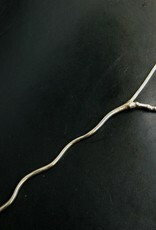 Handmade Fair Trade in Indonesia White brass 6.5" long The Twig Shawl Stick is earthy and elegant, hand cast, fabricated, and polished by skilled artisans. I looked for this twig for weeks during dog-walks in the morning before starting work in the studio. Each day I collected handfuls of different sized and shaped twigs from different trees and shrubs until I found two I liked, this one which became the Twig Shawl Stick, and another one that became the Twig Lace Pin. I cast these botanical components myself in silver. 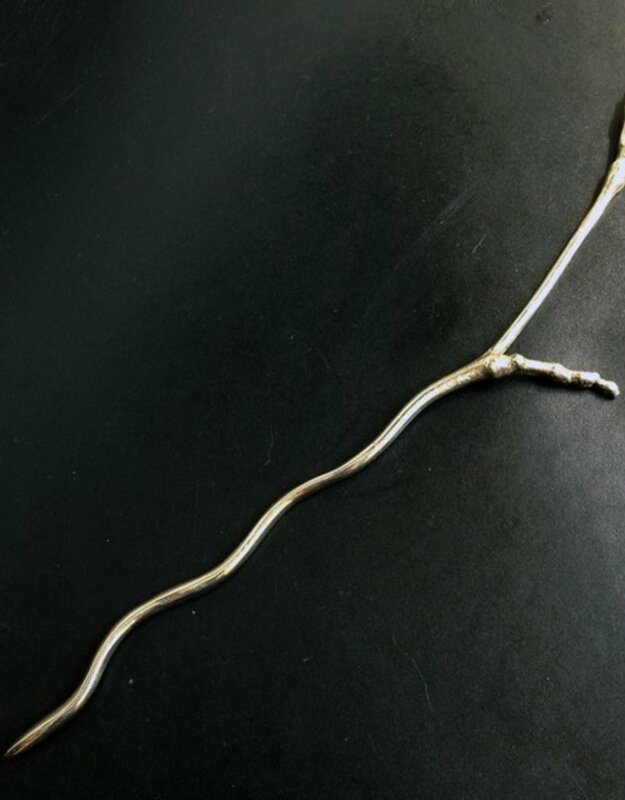 I then shaped the wavy shaft of the shawl stick in silver wire and soldered them together to form the entire piece. The Twig Stick is a wonderful complement to both rustic and refined knits and woven fabrics.